It is an open secret that it was the army, and not Imran Khan, that brought down the Nawaz Sharif government. One thing that has been constant in the 70-year-old history of Pakistan is the ever-growing power of the military establishment, and their ever-growing interference in the politics of the country. Time and again, there have been efforts to bring the country under a civilian government through a democratic process of elections. In this respect, the country has made progress since 2008 — it has seen two consecutive elections and transfers of power, in 2013 and 2018 respectively. But even with elections, the army’s meddling has been a constant feature. The 2018 elections were no different. Most observers and analysts, both within Pakistan and outside, have cited ways in which the elections have been influenced by the Pakistani army and its intelligence wings. Major political parties have alleged systematic manipulation and rigging. Results — to the extent that they are available — suggest a victory for the Pakistan Tehreek-e-Insaf (PTI), led by former cricketer Imran Khan. 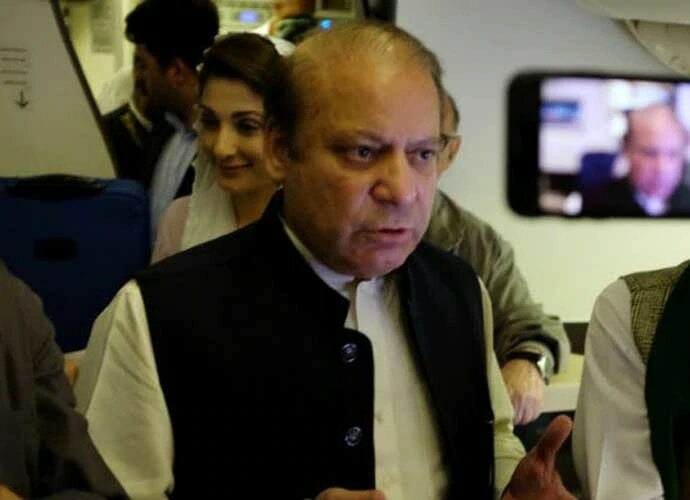 This year’s elections were characterised by two prominent features — first, an effort by the military and Imran’s party to topple the Pakistan Muslim League (Nawaz) (PML-N) government, and second, to create an anti-Nawaz Sharif wave and remove the former prime minister from active politics. Imran Khan made it a mission to uproot Nawaz Sharif from the political scene of Pakistan, and pursued the Panama Leak case against him with the utmost conviction and dedication. It is an open secret that the sudden rise of PTI in Pakistan and its will to challenge the ruling party came from Imran’s increased closeness with the all-powerful security establishment. To gain an edge in the general elections, Imran continued the politics of conflict and confrontation, until Sharif’s political career came to a sudden end. The PTI has generally managed to gather huge crowds at its rallies, but it was the Lahore campaign at Minar-e-Pakistan on April 29 that was lashed with political connotations for the PML-N. 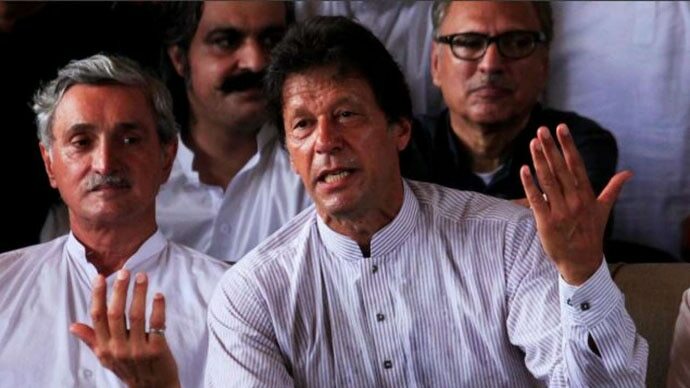 While announcing the party’s new slogan, “Do Nahi Ek Pakistan, Ek Pakistan Hoga Naya Pakistan”, Imran said Lahore was the road to the all-important region of Punjab, thus announcing the PTI’s entry into the region, considered the Sharifs’ stronghold. Not long after the Lahore rally, many PML-N legislators from Southern Punjab announced their intention to join the PTI. The election results indicate a neck-and-neck fight of the PTI and the PML-N in Punjab. Many PML-N strongholds this time have gone to Imran Khan, helped by the constant influx of leaders from various parties into the PTI. Imran Khan had then claimed that such defections would be vital in gaining a foothold in Punjab. While these new members contribute positively to the party in terms of election victory, their entry may also create problems for the PTI, due to the political baggage they carry and over questions of their loyalty and integrity. Campaigning for the elections saw violence too, with several candidates targeted. An attack in Pakistan’s southwestern Baluchistan province killed 149 people, including a parliamentary candidate. Another 300 people were wounded. The campaigns were also characterised by “blatant, aggressive and unabashed attempts to manipulate” the outcome — as Pakistan’s independent human rights commission put it — with the news media silenced and candidates intimidated. These manipulations and riggings, coupled with Nawaz’s targeting over the Panama Papers case, are now being linked to the larger plan of painting Imran as a hero and reducing Nawaz to the ground. The PML-N and other political parties have rejected the election results, alleging their polling agents — party workers required to be present at the time of the vote count — were evicted from the booths during counting. They also complained about the inordinate delay in the release of preliminary results by the Election Commission. But the Election Commission insists the delay was due to technical problems — the electronic result transmission system collapsed, preventing the uploading of the results. But it hasn’t yet addressed the issue of why the polling agents were evicted from the booths. According to statistics, 60 per cent of Pakistan’s population lives in rural areas. Therefore, a lot of the cases of rigging and manipulations were reported from the rural regions. The general backwardness of these areas, people’s gullibility, and most importantly, the media — both vernacular and mainstream English — choosing to focus on the urban regions probably made the rigging easier. Also, the manual form of voting — which is lengthy and hectic — makes it vulnerable to rigging and tampering. It has to be noted that long before elections, there were widespread allegations that the Pakistani military was trying to engineer a victory for the PTI. The PML-N was the loudest voice behind these allegations, and as a result, Sharif was uprooted from power, made irrelevant in politics, and now faces a jail term. There was a tight control of media in all forms. Except for a few English liberal dailies, the media — both print and broadcast — was running a campaign to malign the image of Nawaz Sharif over corruption, and of his party, the PML-N, for promoting nepotism and family politics. There were reports that even the judiciary was involved in this campaign against Nawaz. Cases were lodged against several members of the PML-N, and also the Sharif family. Although Shabaz Sharif tried to woo the army, it was not to much avail. Nawaz, at least briefly, managed to use these circumstances to his advantage. His popularity actually gained momentum as he presented himself and his party as victims of the military establishment, which did strike a chord with a section of the population. But tfinally, he overplayed the victim card. His attacks on the judiciary and the direct criticism of the army, in reference to the Mumbai 2008 attacks, strengthened the judicial-military nexus that proved to be the final nail in the coffin of his political career. There was a unanimous agreement that under the prevailing scenario, poll results would throw up a hung verdict. In all probability, a coalition will now come to power, with the PTI trying to woo Independents and smaller parties. But the truth of the hour is that Pakistan will be ruled by a party brought to power by the army, by toppling a democratically elected government. Under such circumstances, with the shadow of the military looming over Imran Khan, the struggle for democracy and a democratic government in Pakistan will further amplify, at new levels.